Longer days, budding trees, t-shirt weather – but for all of you snow fanatics who are shuddering at the thought that it might be starting to look like spring, we’ve got you covered! To get pumped for this month’s World Ski and Snowboard Festival, we’re sharing our Top 10 slopes around the world. Skip the beachside spring break this year check out these mountains you just have to shred. 8,100 acres of slopes makes Whistler Blackcomb the largest ski resort in North America. With 16 alpine bowls, 3 glaciers, world-class terrain parks, 200+ trails and 37 lifts, each snowy acre is put to optimum use! This Canadian haven has runs suitable for everyone, as well as a peak-to-peak gondola to transport you in style and tranquillity. This legendary Alps resort is the pinnacle destination for every snow-sports enthusiast and should be top of your list. Located in Austria’s beautiful Arlberg region, St Anton sits within one of Europe’s snowiest areas, its history as deep as the powder. Home to the first ski club in the Alps (1902), skiers and snowboarders alike have continued to flock to the 306 km of marked runs and 200 km of off-piste challenges. 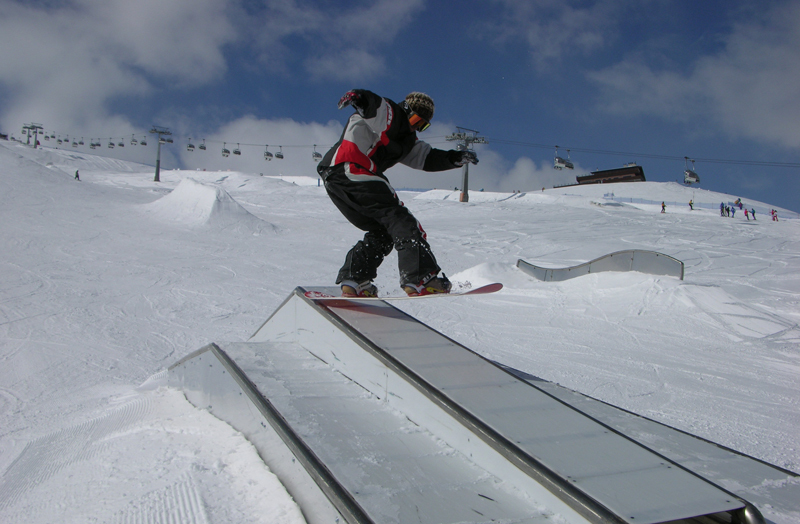 Not for beginners, St Anton’s terrain will certainly put your snow skills to the test! 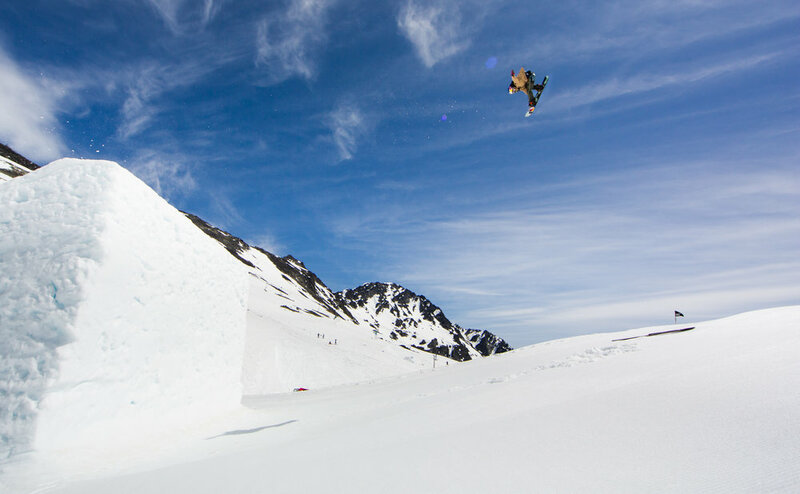 If half-pipes, boxes and rails are more your thing, Mammoth Mountain is calling. Soak up the California sun while trying your luck over 100 acres of park terrain. Year-on-year, the mountain attracts some of the world’s best riders as they train on the 126 rails, boxes and jibs, 95 jumps, and 3 halfpipes – including the 22-foot Olympic-sized Super Pipe. St. Moritz was the first all-round winter-sports resort in the world and continues to impress 150 years down the line. Alongside its impressive winter social life – including a glamorous après-ski scene with horse racing, polo, and cricket on a frozen lake – the world-famous resort attracts skiers and snowboarders of all levels. Many off-piste and backcountry runs remain well-hidden, giving black run-seekers the chance to challenge themselves on steep and snowy terrain. Calling all powder hounds, this resort is the dog’s bone! Rated best in Utah, ‘The Bird’ welcomes skiers and snowboarders by promising north-facing fresh snow well into the warmer spring months. If you’re a beginner, Snowbird may drop you off the deep end, but for experienced shredders looking for deep powder, rugged terrain and ample freeskiing and freeriding opportunities, this is one to check out. Part of the titanic Les 3 Vallées (the world’s largest alpine ski domain, boasting 600km of runs), you can live the high life both on and off the Courchevel slopes. Ten summits stand above 2,500 metres, and the 60 lifts mean you can explore everything from meticulously groomed runs to tight, tree-lined off-piste challenges. Be prepared to drop some green, but your spending will be well rewarded with Michelin restaurants and luxury hotels at one of the best resorts in France. One of the best places to ride in the Southern Hemisphere! While Chile might not race to mind when you think of a booking a snow holiday, Portillo can offer some insane powder, fresh views and unique atmosphere. The family-friendly resort offers a range of runs that can satisfy even the most thrill-seeking riders. Reaching an impressive elevation of 10,860 feet at its highest point, Portillo is also home to the legendary Super C Couloir – the bucket-list line for all die-hard skiers and boarders. It’s no easy journey, but the descent from the top will be more than rewarding. Vertical rock walls, knee-deep powder and spectacular views make it a must. Once again voted the best resort in Italy, and rated 2nd in Europe in 2019, Livigno is one of the most well-equipped resorts you’ll come across. 115km of slopes, 6 cableways, 13 chairlifts, 11 ski lifts, and extensive Snowparks offer something for everyone, making it the ideal family destination. Long, wide, gentle slopes nestled in the valley are a haven for beginners. As snow falls from November until May, Livigno is a destination that can be enjoyed while other European resorts battle for sufficient powder. Doesn’t the name tell you everything you need to know? A massive Californian resort spanning 4,800 acres of ski area and reaching peaks of 10,067 feet. That height means a serious vertical drop unparalleled in the state – and it boasts 1,600ft chutes. While experts are winding through trees, beginners and intermediates can enjoy a wide range of blues, and everyone can appreciate the spectacular views of Lake Tahoe and the surrounding desert. 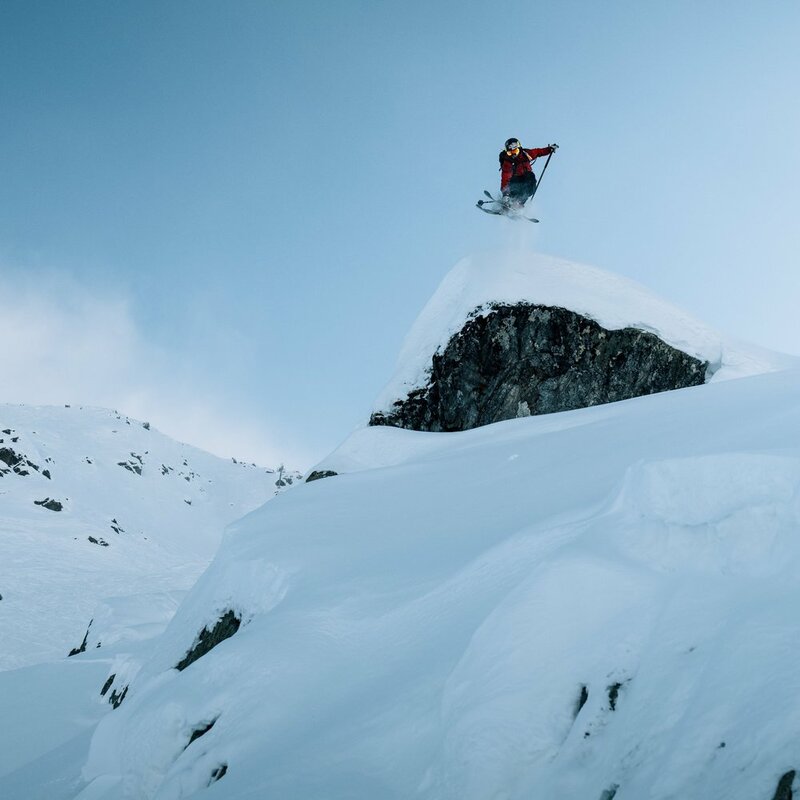 It’s New Zealand’s favourite winter resort, and for good reason. Rising between Queenstown and Wanaka, Cardona spreads across 3 bowls, making runs beginner and family-friendly. If experts feel slightly under-challenged, Cardrona makes up for it with a variety of terrain and great views. Not to mention that New Zealand winters run from June–October, so any North Americans or Europeans looking for summer shredding, it’s a no-brainer. Well? What are you waiting for? Put on your boots, pick up your board, grab your skis – you’ve got some mountains to explore - and be sure to share your best spring lines with us on Facebook, Twitter, and Instagram! Tune into the World Ski and Snowboard Festival on 13-14 April live on EDGEsport!